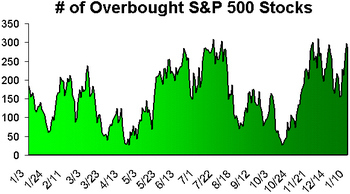 Below are historical charts of the number of S&P 500 stocks that are overbought and oversold. 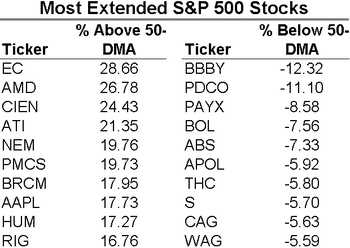 An overbought stock has a price greater than one standard deviation above its 50-day moving average and vice versa for an oversold stock. 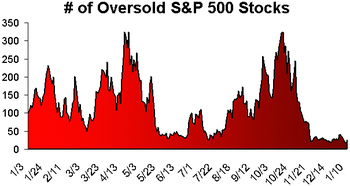 As you can see, the number of oversold stocks has been at 52-week lows for some time now.